The month-long San Francisco Ethnic Dance Festival embarked on its final weekend at the Yerba Buena Center for the Arts with a signature blend of excellent performance, creative fusion, cultural education and artistic sharing. Eight amazing companies graced the stage in two-hours of distinct physicality and national identity. This impressive combination of large and small groups included Abhinaya Dance Company of San Jose & San Jose Taiko (India & Japan) which gave us two very different styles of dynamic percussion and Mariam Gaibova & Abbos Kosimov (Tajikistan & Uzbekistan) who demonstrated the unique relationship between the musician and the dancer. Likha-Pilipino Folk Ensemble (Philippines) incorporated phenomenal props into their traditional narrative ritual dance while Nā Lei Hulu I Ka Wēkiu (Hawai'i) intricately layered movement and song. Gadung Kasturi (Indonesia) painted a complete theatrical picture, merging beautifully into Theater Flamenco's (Spain) creation of living sculpture. Lastly, Ballet Folklórico de Carlos Moreno (Mexico) showed utmost precision followed by the pure joy and elation of Diamano Coura West African Dance Company (Liberia). This long-running festival (currently completing its thirty-fourth year) is successful for many reasons but perhaps the most compelling is that it is equally for the music lover as it is for the dance fan. All participants are multi-talented performers; professionally versed in both movement and sound. For me, there were two stand-out performances, one in each Act. The very first offering brought together two San Jose artistic organizations - Abhinaya Dance Company of San Jose (Bharatanatyam dance of South India) and San Jose Taiko (Japanese drumming). Each group was first featured on their own. The Taiko drummers highlighting their complete physical integration and the Bharatanatyam dancers showcasing fast pirouettes, deep pliés and footwork sequences (amplified by their footbells). Then, the two groups combined in a unique cultural interplay; a question and answer between the two. While each company certainly had its individual characteristics, the fusion of them was the most interesting part of the performance. Unpredictable and unexpected, it worked perfectly, due to their percussive commonality. Neither pulled focus or became overpowering; instead the two San Jose troupes providing a stunning synchronicity of dance, music and cooperation. 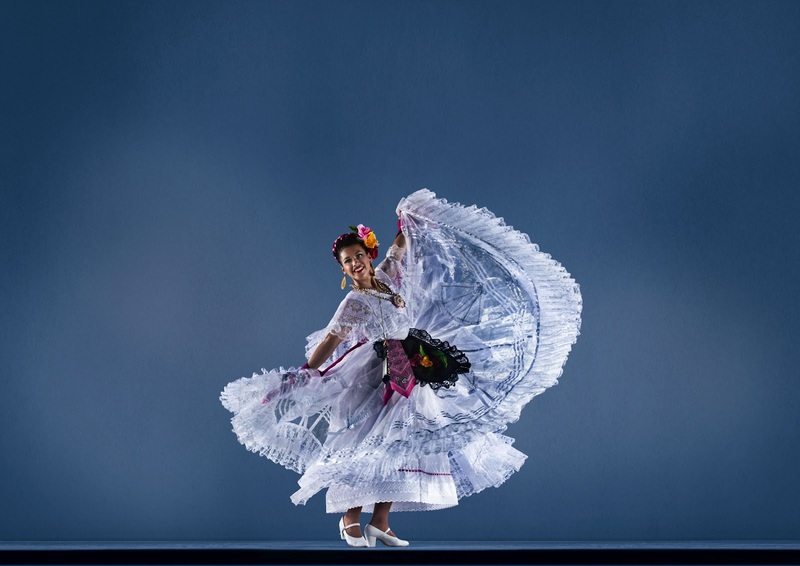 Toward the end of Act II came the extraordinary dancers, colorful costumes and artistic exuberance of Ballet Folklórico de Carlos Moreno. Yet another display of traditional foot percussion, this company was clearly a crowd-favorite. The footwork patterns in the three traditional Mexican dances that they brought to this year's Ethnic Dance Festival - 'La Carretilla", "La Iguana" and "El Zapateado" - were almost super human in both their speed and exactness. And, one can see how this style of dance has informed other percussive genres including tap, clogging and step dancing. This group's commitment to and love of their cultural heritage was an absolute joy. While the San Francisco Ethnic Dance Festival is a wonderful collection of the diversity and cultural variety that our region has to offer, some logistic aspects of the festival 's final weekend were a little disappointing. At Saturday's matinee, the lobby bells rang with their typical warning, signaling that the show was about to begin and ushering the patrons into the theater to take their seats. Then we waited and waited. The curtain time of 3:00pm passed by in addition to fifteen extra minutes. No announcement came nor was there an indication as to what was happening. Now of course, fifteen minutes may not seem like a big deal, but when the audience is full of children (as it often is at a matinee), starting on time is pretty important. Or, if a prompt curtain is not possible due to unforeseen circumstances (which absolutely happen and are totally understandable), the delay should have been announced. That way, the kids could have gotten up and moved around. "Walking Distance Dance Festival - SF"